SCT > How do you feel me? The project How do you feel me? was the winner and placed first in the regional call (ESF - European Social Fund) intended to spread the culture of gender parity and the principle of non-discrimination into the educational system and the world of work. It deals with discrimination in healthcare places and healing relationships. The hospital may effectively become a microcosm where the weakness of people living there and culturally based dynamics of exclusion facilitate discriminations. The project lasted from the 3rd May 2013 until the 3rd February 2014. The project How do you feel me? was the winner and placed first in the regional call (ESF – European Social Fund) intended to spread the culture of gender parity and the principle of non-discrimination into the educational system and the world of work. It deals with discrimination in healthcare places and healing relationships. The hospital may effectively become a microcosm where the weakness of people living there and culturally based dynamics of exclusion facilitate discriminations. The project lasted from the 3rd May 2013 until the 3rd February 2014. The target audience and the performance. The project involved 90 students enrolled in the Faculty of Science in Nursing Course with a Social and Community Theatre (SCT) training workshop directed by professional trainers and with the methodological supervision of the SCT Master as well as of the Faculty of Science in Nursing Course. Texts, actions, documentary researches, evidences of life stories created by the students, were merged into the theatrical performance Pietre (Stones), directed by Alessandra Rossi Ghiglione and played by Antonella Enrietto, Alberto Pagliarino together with Lorena La Rocca and Maurizio Bertolini of TPE – Teatro Popolare Europeo (European Popular Theatre). Promoting institutions. The project How do you feel me? is the winner and placed first in the ESF call (European Social Fund) of the Piedmont Region. It has been promoted by the SCT Master, the Nursing Faculty at the University of Turin, TPE – Teatro Popolare Europeo, with the support of DoRS – Centro Regionale di Documentazione per la Promozione della Salute (Regional Documentation Centre for Health Promotion) and InPrESa association (Educational and Health Promotion Measures). The online publication was granted by the ESF Operational Programme for 2007 to 2013 in the Piedmont Region. Target audience. The project is addressed to enrolled students, young professionals in the field of Social Theatre, health workers and citizens living all over the Piedmont regional area. Purposes. How do you feel me? aims to tell about gender discrimination, religious one, discrimination related to emigration, to personal believes, disability, sexual orientation and age. It deals with discrimination in healthcare places and healing relationships. The project and its tools. The project was structured around the SCT training workshop directed by professional trainers and with the methodological supervision of the SCT Master and the Nursing Faculty at the University of Turin. Moreover, the collection of discriminating life stories, was confronted by both a literature and documentary review on the phenomenon as well as through direct evidences in healthcare contexts. 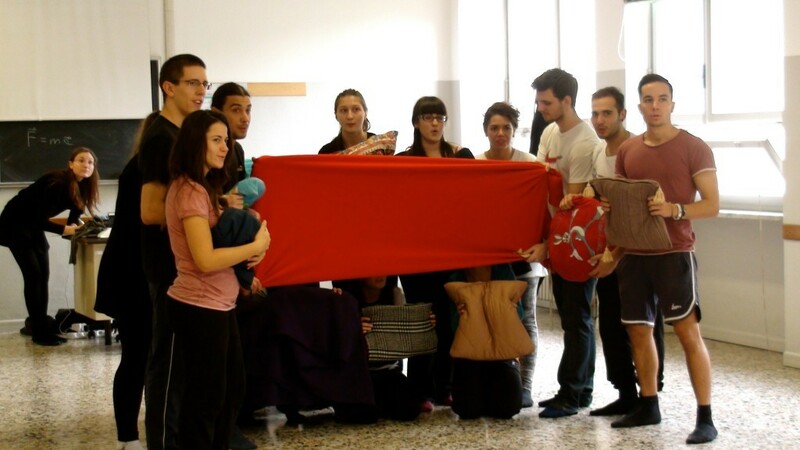 This material was developped in a cross-process direction of theatrical training and aimed to make the future health worker aware of preventing direct and indirect actions of discrimination, as well as of inclusion culture. Texts, actions, researches, evidences of life stories created by the students were merged into the theatrical performance Pietre. a network of association working in the local contexts, among these the theatrical company Il Mutamento Zona Castalia (Turin). Qualitative results. The evalution process was based on a qualitative approach with two areas of interest: the first one was intended to appreciate the educational efficacy on the students enrolled in the Nursing Faculty for their participation in the theatrical workshops; the second one aimed to evaluate the quality and communication efficacy on the audience and citizens who took part in the theatrical performances. 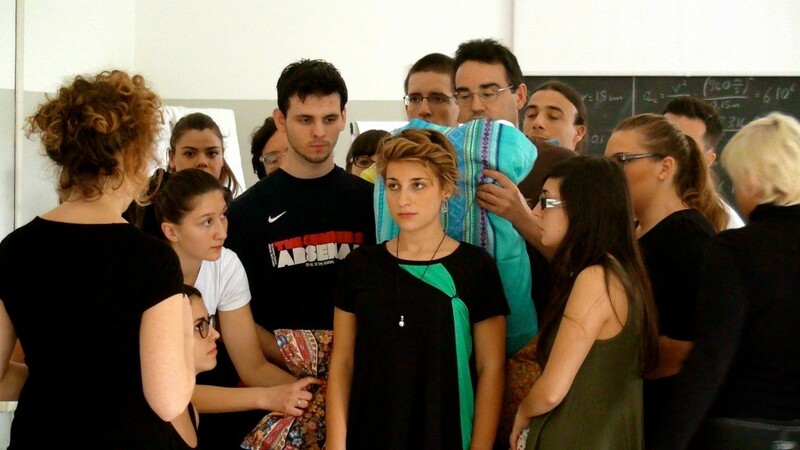 Two focus groups (pre and post theatrical workshop) were conceived and directed in order to evaluate the effect of the training: the aim was to measure, at the beginning, the mental predisposition of the student towards discrimination, and later, his ability to identify it and be aware of what to do to avoid it. 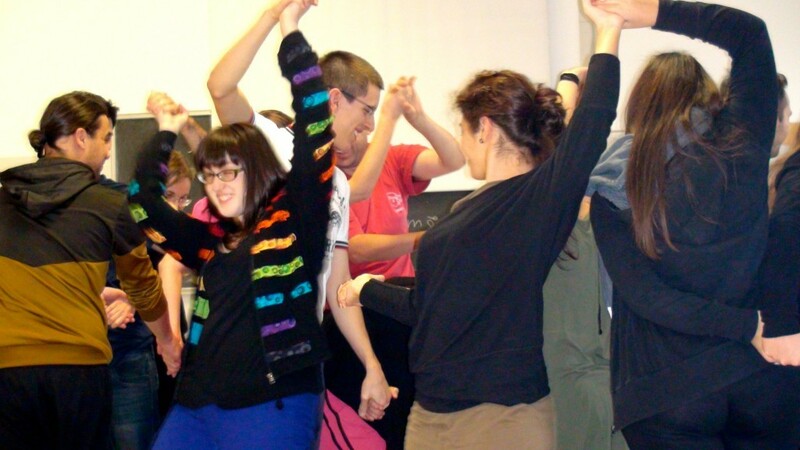 Each student also filled in a reflective and anonymous diary, during the theatrical workshop, with the aim of facilitating the expression of what they perceived concerning the topics that came up and related events. The second phase of the evaluation, measured the communication efficacy that Pietre had on the audience. Discrimination stories were put up in every location envolved in the project and, with the audience’s experience, these stories produced new and different plots. A semi-structured questionnaire was advertised to each spectator with the purpose of evaluating the impact and appraising the effects. In this way, it was possible to probe what the audience perceived on the topic of discrimination, concerning feelings and emotions they went with during and after the performance. An interactive area was dedicated and created among the web sites of DoRS, InPrESa and SCT Master to disseminate the results, along with the organisation of a seminar, a case study and a publication (edited by DoRS and InPrESa, with the scientific supervision of the SCT Master and Nursing Faculty). Performing events. 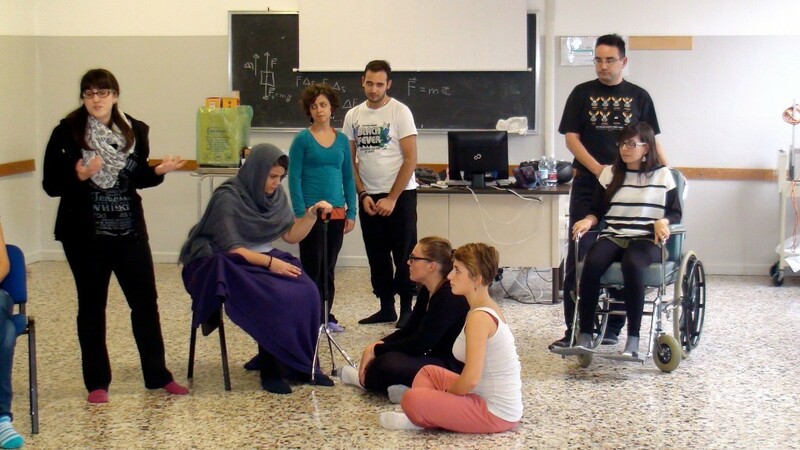 Pietre, a perfomance for two actors in the format of narration and song, was born from the interviews of discrimination witnesses – all of them were health workers in Piedmont – during the workshops organised with the students of Nursing Faculty in Turin, Cuneo, Ivrea. Thus, the performance shared the moral shock facing discrimination, but also the power, the sensitivity and the perseverance to change the way of living the healing and the world. 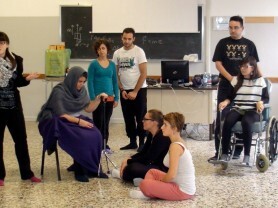 A choral prologue, with the Nursing students, introduced the performance and afterwards there was a theatrical interactive action, inspired by the Forum Theatre of August Boal: this one involves the audience by asking them to perform one collected discrimination situation and finding together different possibilities of behaving.